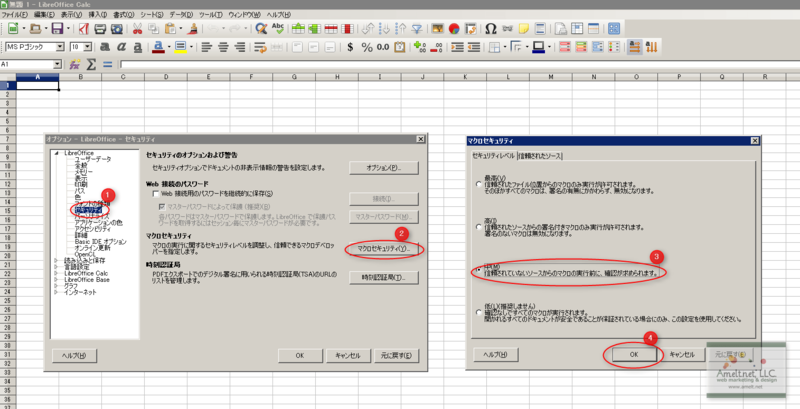 Write down contents as article when our company developed macro in LibreOffice. 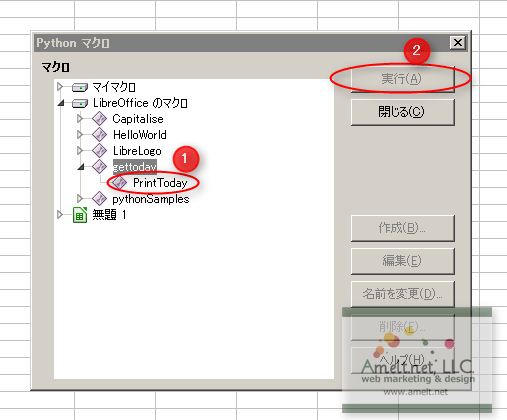 Most of contents is Windows environment and using Python in LibreOffice Calc. And change security settings as below image. You can find menu Tools > Macro > Organize Macros > Python, and run sample script as first test. Depending on the environment, it may cause error like below. If you don’t install JRE(Java Runtime Environment) in your PC, install it. Maybe if you already installed JRE in your PC, you can select version of JRE from menu Tools>Options>LibreOffice>Advanced. In my situation, JRE 1.8 is causing error but JRE 1.7 is going good. My PC is 64bit environment, so JRE install path is　’Program Files(x86)’. You can find menu Tools>Macro>Organaize Macros>Python, and run sample macro script. I made ‘gettoday.py’ like below, and copy to foler path as below. Then run code from menu Tools>Macros>Organize Macros>Python, resluts are displayed in Calc. Sample scripts are in folder path as follow if you don’t change default install path. In the same way, you can display results to LibreOffice Writer from menu Tools>Macros>Organized Macros>Python by using sample macro scirpt as follows.